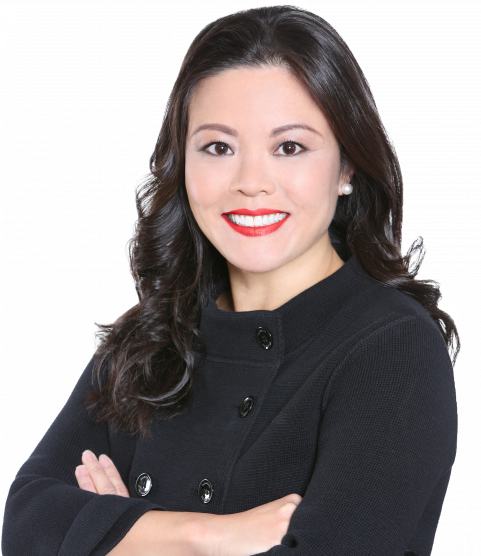 An international transplant who was born in China and grew up in Hong Kong, Jessica has lived in many places including Los Angeles, San Francisco, Chicago, and most recently Manhattan and Long Island City, before settling in Westchester to raise her family. The agent-of-choice for both home sellers and buyers in Westchester County, Jessica is passionate about the beautiful living Westchester has to offer. Most recently an executive at a leading global luxury beauty company for nine years, Jessica is well known for her strategic insights that create unique product messaging, robust marketing campaigns, her creative problem solving and negotiation skills, and her unmatched understanding of the nuanced and unspoken needs of the most discerning consumers around the world. An expert marketer who believes in premium products and services, Jessica is proud to be part of Sotheby's International Realty. Jessica's motto is to deliver a world-class experience with the utmost level of confidentiality and integrity to each and every client. Jessica directly serves her clients in Westchester County and around the world through her highly selective group of global real estate expert partners. Jessica has a BA from University of California, Berkeley and an MBA from Northwestern University. She currently resides in Scarsdale with her husband and two sons. To contact Jessica call her at 347.537.9623 or email her at Jessica.Chan@juliabfee.com. Her office is located in the heart of the Village of Scarsdale at 28 Chase Road, Scarsdale, NY 10583. Being asked to help my 91 year old mother to sell her home, I began my search for a realtor who is honest, knowledgeable, motivated and committed to their clients’ best interest. As a former real estate salesperson, I set my expectations high. I chose Jessica based on these criteria but Jessica delivered beyond expectation: * 11 showings within the first 3 days of listing. * 5 buyers made offers within the first 72 hours. * 2 of these 5 were at or over list price. * 3 buyers were open to the lease-back option that was ideal for my mother. * Additional offers continued to roll in and it turned into a bidding war. * Contract was signed within 2 weeks of listing. Today, Mom is living in the familiar surroundings of "her home" and has the comfort of knowing her future is secured. Jessica, I thank you and my Mother thanks you. You are our personal miracle! Jessica Chan is an exceptional buyer’s agent in every sense. As first time home buyers with a new family, my wife and I tried to be patient and careful during our search. But after nearly two years and countless weekends spent crisscrossing Westchester with another agent, we were feeling frustrated and still had as yet to find the right home. And so it was that after having met Jessica previously via a mutual acquaintance, we finally approached her asking for help. Jessica strategically and patiently guided us thru the process and in a fraction of the time we had spent searching previously, she helped us find an amazing house with wonderful neighbors where we finally feel at home. In 2015, we came to the US and one of our friends referred us to Jessica which proved to be a "blessing in disguise". Initially we wanted to rent a place and within a span of one week, she had shown us whatever was available in the market. We were able to move into the rented house within 10 days of our arrival. In the next year we started searching for a house to buy and Jessica showed us tens of houses. It was only because of her that we were able to, ultimately find the house of our choice. Today our family are living in this house and Jessica, more than a realtor has become a part of our family. Jessica was such a in knowledgeable, friendly and invaluable resource. We worked with her for the purchase of our home after having a child. And a year later, we asked for her help again on the sale of our apartment. She worked with us tirelessly and gave us impeccable guidance on two very different transactions. Jessica quickly got a sense or budget, style, family needs and appetite for renovations. With Jessica's expertise - not only did we view the type of home we thought we wanted to purchase (a condo), but we also saw many options to meet our needs. As a result we have the perfect beautiful home for us in the ideal location, with a rental unit for extra income. We were also able to be in contract shortly after we listed our apartment for sale. We feel extremely lucky that we had Jessica working with us, and highly recommend her for all types of real estate transactions.